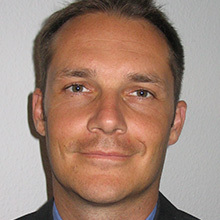 Charles Dachs is vice president and general manager of Secure Embedded Transactions at NXP Semiconductors. He leads the NXP organization dedicated to Near Field Communications (NFC), embedded security and mobile payment, a business that spans nearly two billion smartphones and wearable devices to successfully leverage the card infrastructure to conduct secure payments. His team drives innovative solutions for customers, including services that enable mobile payment through the Internet-of-Things and in public transportation — transforming how and where traditional payments can be made. Charles has been in this space for over 12 years. He received his PhD from the Université des Sciences et Techniques du Languedoc (Montpellier II) and University of Arizona in electronics/applied physics.